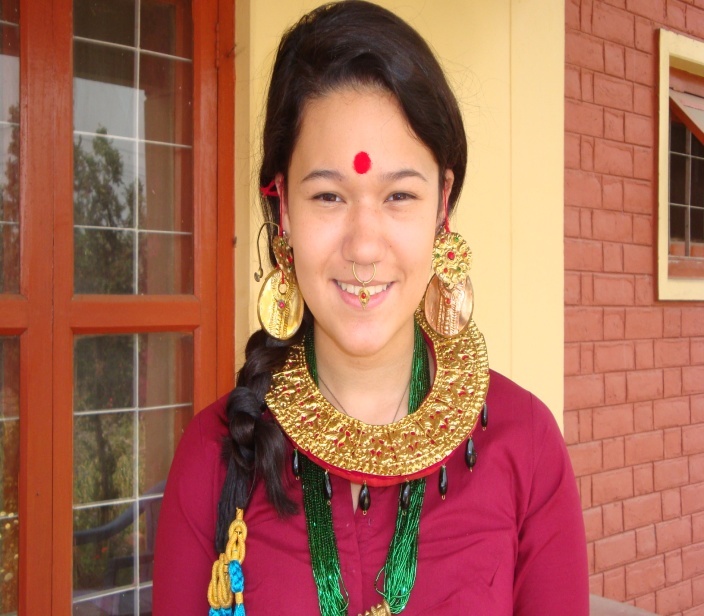 Gabriella Fussner, just 14 years old, a student of Singapore visits Surkhet to reach out to the children of the Child Centers run by the SCNs. She chose to help as a school project. Sister Cecilia Simick shares this letter. Greetings from Surkhet. I would like to share this message with you all. “Nothing is impossible if your heart is filled with love and compassion.” Gabriella Fussner just 14 years old, a student from Singapore thought of the children of Surkhet as she planned for her school project. She has promised to come again to see the children during her vacation. Her father Mr. Chris Fussner has been the generous donor for the Mobile Health Clinics in the various parts of Nepal for more than 20 years, especially to the poor patients of remote villages of Nepal . In Surkhet only, we have been able to reach out to more than 50,000 more poor patients within these past four years. His daughter has learned the valuable lesson from her dad. She visited the children in the child centers, distributed various things for the children to play. 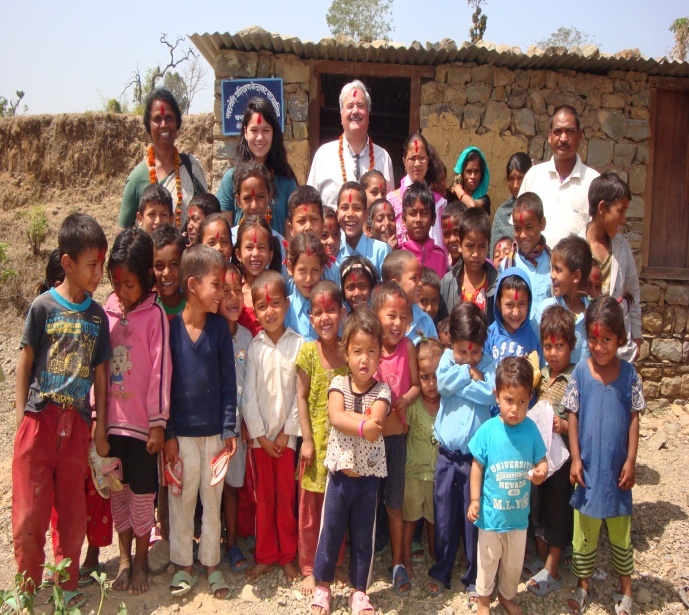 The children and the villagers were so taken up by her concern for the poor. 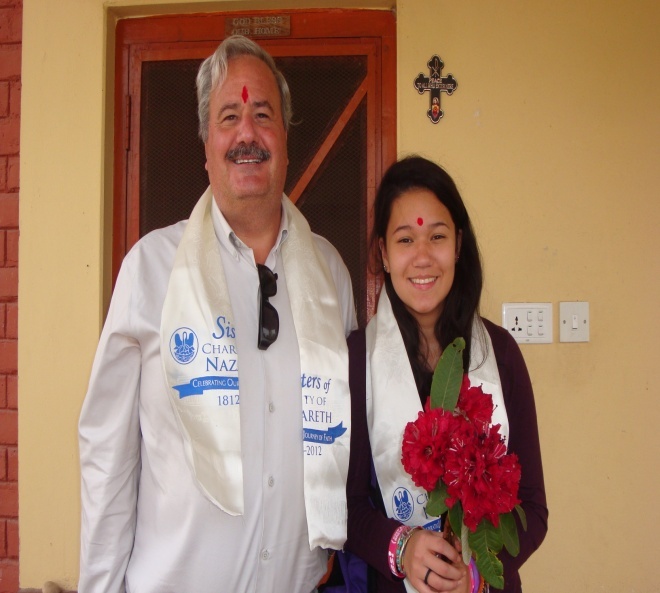 SCNs thanked Mr. Fussner and Gabriella by offering them a Bicentennial Khada [scarf] as they left Surkhet. Yes, they are very much part of us in our ministry. We ask God to bless them. I shared the story of Brianna Daniels and our sisters who have been collecting shoes and helping the poor people get drinking water. 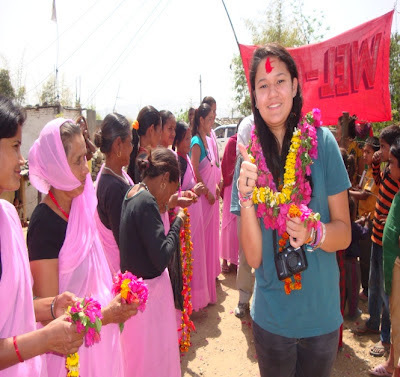 We do need such Brianna Daniels and Gabriella Fussner who at their young age try to reach out to the poor. May many men and women be inspired by these young people. May God bless them.